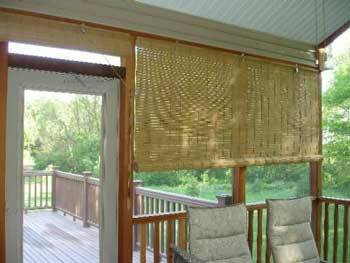 Porch blinds can make a real difference! I remember my parents having a porch on the back of their garage. It was very private and my Mom and Dad spent many evening hours out there listening to FM music. But when it was really sunny or windy, they came indoors. I'm sure they could have enjoyed their porch more if they had blinds or awnings to lower in the afternoon. 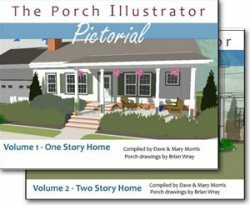 "I can stay out on my porch with my romance novel or just chat longer with my neighbors - thanks to the porch blinds we installed. The hot sun used to chase me in, but no longer! And my wicker furniture appreciates the shade, too." Look at the beautiful relaxing porch above. Notice how the white shades add a dimension of ambiance and privacy to this wonderful porch. 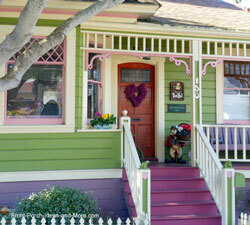 "The shades on my porch are part of my overall decorating scheme. 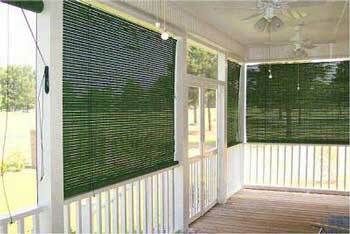 I get complements on my 'window treatments' on my porch!" Don't you love the great colors you see above? 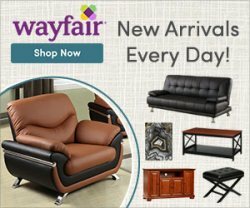 We found these at Blinds.com. Try their Blind Finder to help you get just the blinds you need. And you can even get Free Samples. 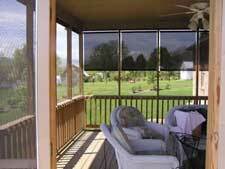 Why Have Blinds or Shades on Your Porch or Sunroom? "The shades on our porch give us a little extra privacy but more importantly we sit out and enjoy our porch much more in the summer. 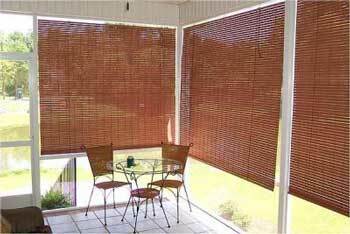 I wish we would have hung our shades as soon as we moved into our home." Exterior porch blinds and shades provide shade during the hottest times of the year - keeping your home and your porch more comfortable. So what? 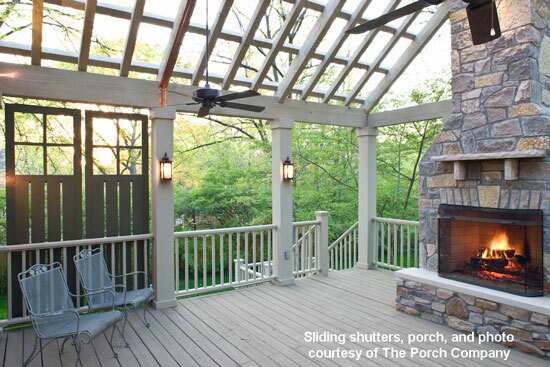 You get to enjoy your porch more on those dog days of summer. 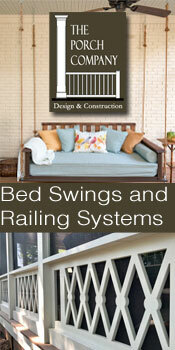 Blinds and awnings can help keep your porch drier on a rainy day - so you can sit on the swing and read a good book! An exterior sun shade can also protect your outdoor porch furniture from ultra violet rays like the Coolaroo shades pictured here. 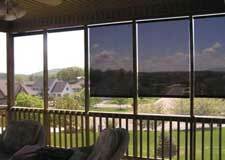 They block up to 92% of the UV rays yet still allow the air to flow. So your furniture holds up better since it's protected from the sun. 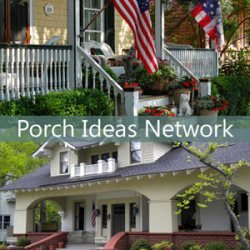 Most porches do not protect you from wind, sun, or rain. 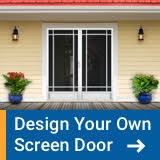 Depending on which direction your porch faces, you may not be able to use one end or the other at different times of the day. The result with porch blinds or shades? 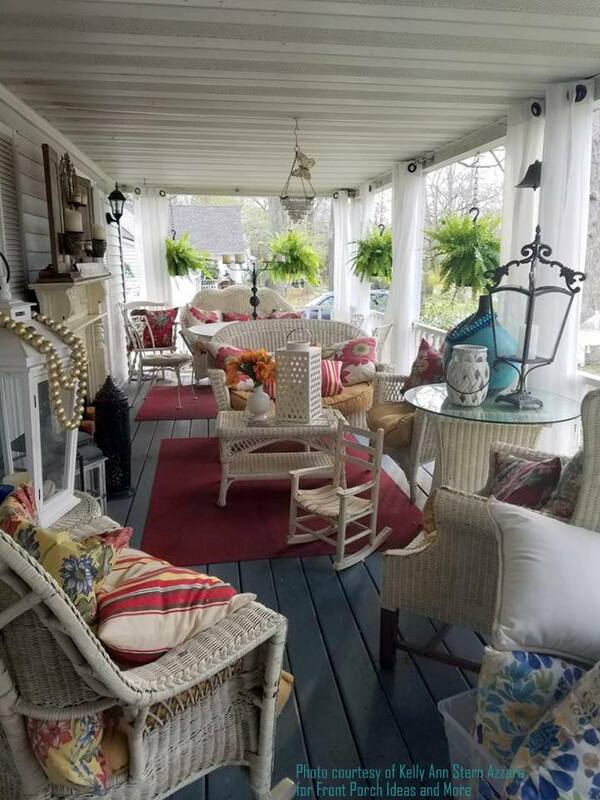 A more comfortable porch for entertaining and simple relaxing. 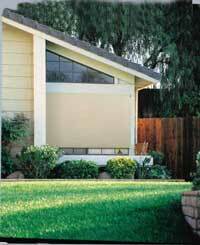 You can block harmful UV rays and cool your porch with great-looking solar shades like the ones shown here. Aren't they modern and chic looking? We think so! They provide some privacy to your porch yet allow you to still enjoy the view. They are easy to maintain, too, and come in a couple handsome colors. "Don't let the measuring intimidate you. It's actually not hard." 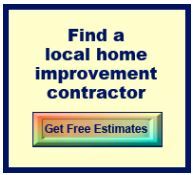 And you can get a Sure Fit Guarantee from Blinds.com. Measuring for blinds and shades is sometimes the most intimidating part. The folks at Blinds.com have put together these very helpful tips - even videos that will help you feel confident about your measurements. Plus their customer service is happy to answer questions about taking measurements. Here's another fantastic idea from The Porch Company: It can get rather annoying playing tag with the sun as you keep moving your chair to avoid its glare. Like smoke from a fire, it just seems to keep finding you. 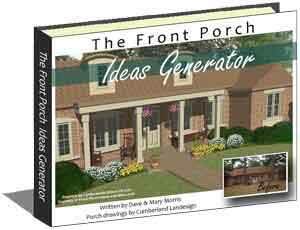 To solve this problem for one of their customers, the innovative folks at The Porch Company used shutters to block the sun on one side of the porch. 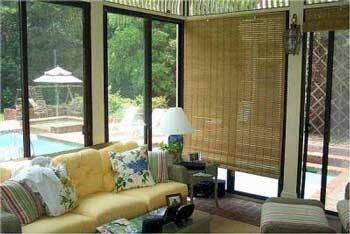 Although they are not true porch blinds, the shutters are designed such as to filter the amount of light shining on different areas during the day and evening. Constructed using a track system the shutters are easily moved along the side of the porch. Not only do they look great, but also are quite attractive and extremely functional as well. 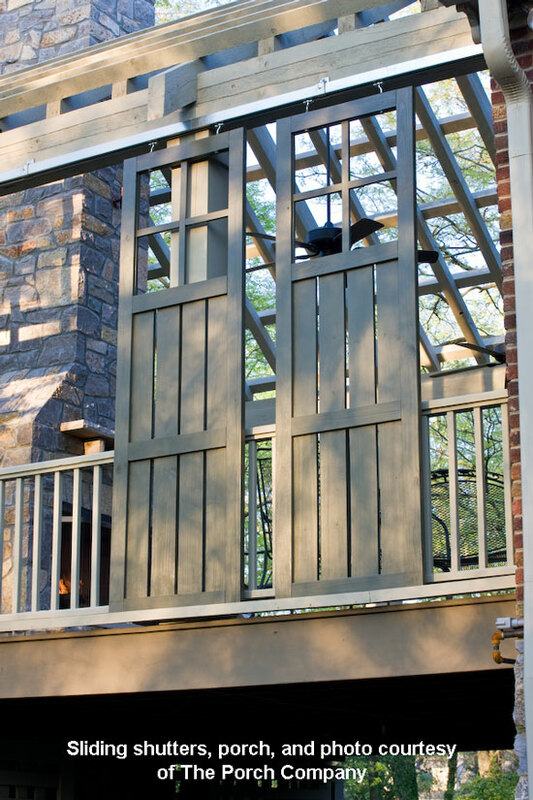 See other porch and deck products from The Porch Company. A very affordable outdoor mister, a simple system of tubing, fittings, and your garden hose that can cool your porch, deck or patio by up to 25 degrees. It's even nice for pets! 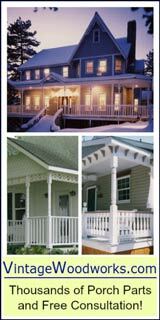 Awnings can transform your porch. deck or patio into a beautiful shady retreat where you will love to spend time. They keep your furniture cool and protected from sun, showers and harmful UV rays - better than an umbrella. 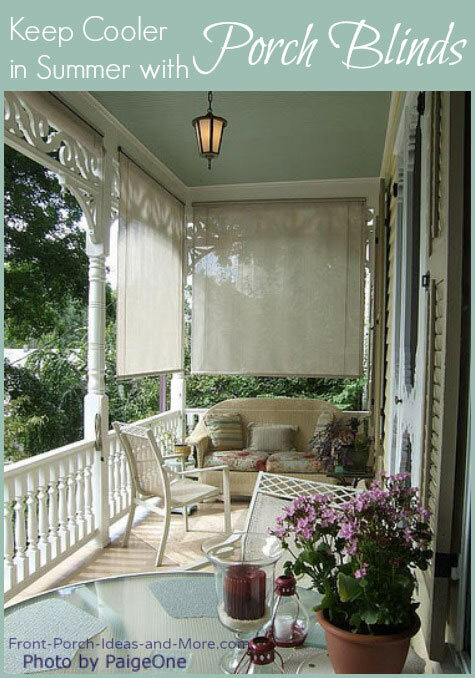 Curtains on your porch - another idea we love!